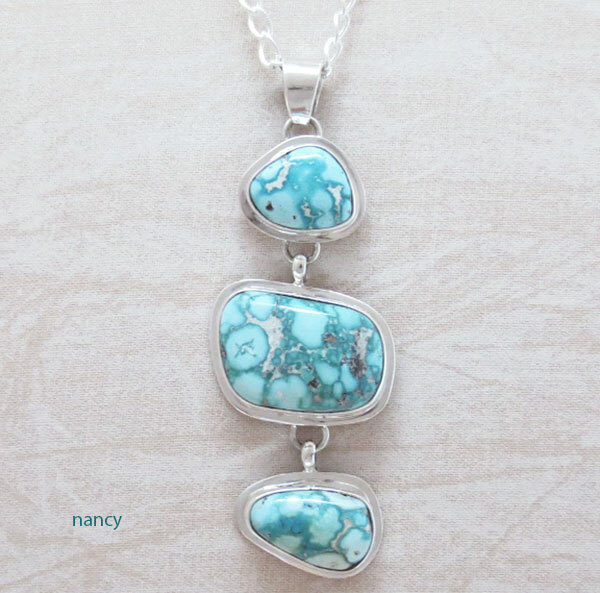 turquoise from Mexico. The stones are stunning and aptly named. 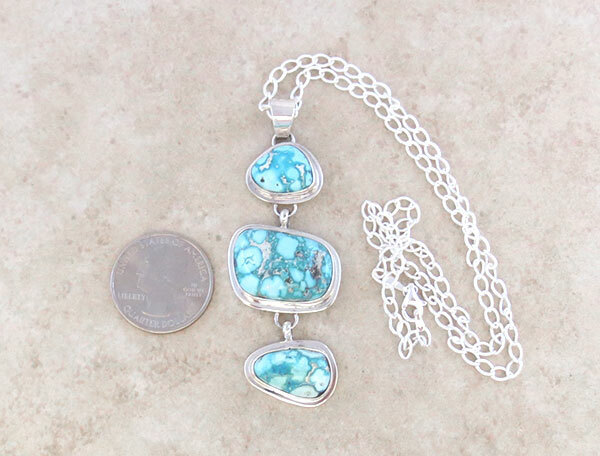 of sparkly pyrites, a mineral sometimes found in turquoise. 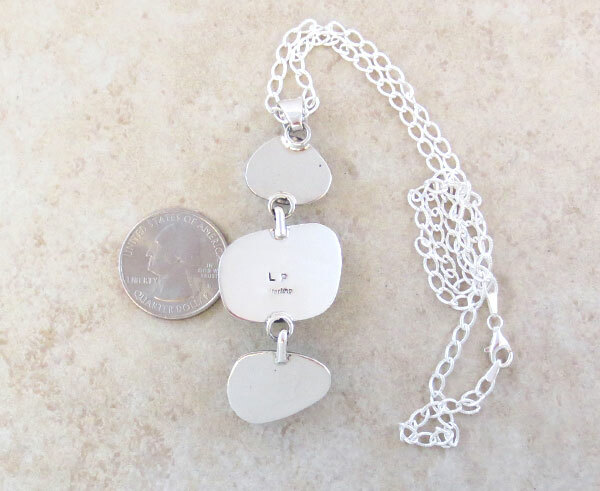 It comes with a substantial 18" sterling silver chain. It's 2 1/2" tall, plus 1/4" bail, by 1" at its widest point. Pendant weight: 18.3 grams on my scale. 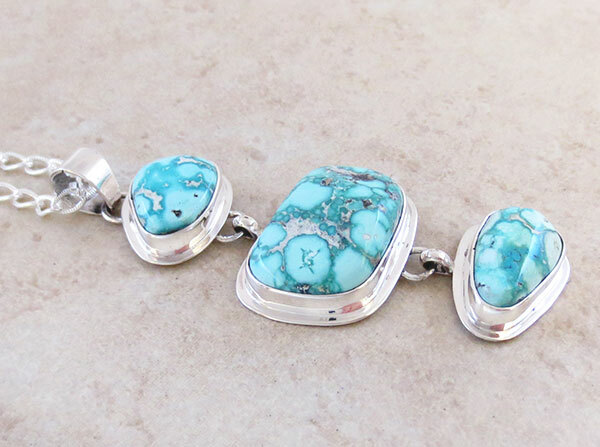 Lyle is a third generation Navajo silversmith, originally from Albuquerque, New Mexico. He attended Chinle High School in Chinle, Arizona. He went on to attend the Community College in Tsaile, Arizona. After earning his degree in accounting, Lyle moved back to Albuquerque. Upon returning to New Mexico, Lyle began to silversmith along side his father Joe Piaso Jr., who has continued to inspire him over the years.